A fresh, springtime take on Taco Tuesday is what I’m all about today – Pork Tenderloin Tacos with Creamy Avocado Sauce, I am looking at you! You get the picture! 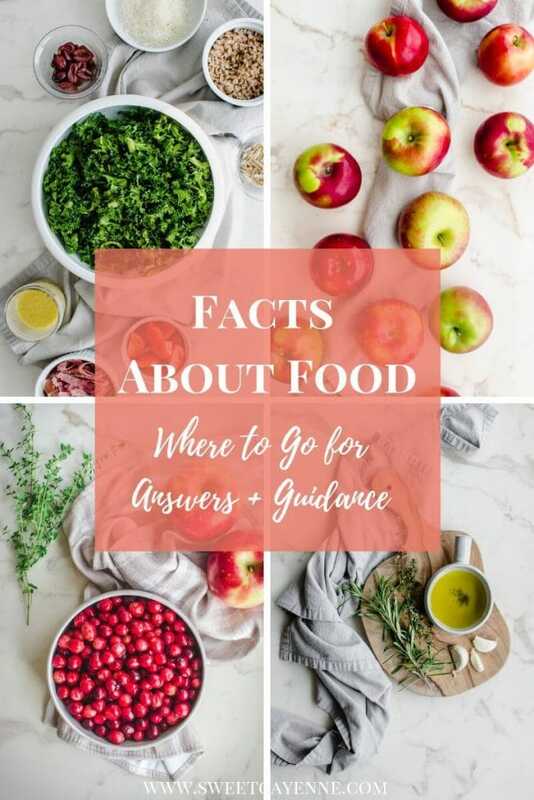 Recipes that serve multiple purposes are one of my favorite things to create, and I hope this type serves you well in getting inspiration for making your menus exciting yet simple/approachable. So I’m repackaging the Chile Citrus-Roasted Pork Tenderloin I posted a few weeks ago and now showing you how I love to serve the meat as a taco filling! These bright and flavorful tacos have the colors of spring and I am loving them so much right now. I’ve made them twice this month – once for the company and then again for Ryan and myself during the week. Serving grapefruit wedges in the tacos complements the flavor of the grapefruit juice in the pork rub. The bright and creamy avocado sauce pulls it all together and is a nice, cool contrast to the smoky/slightly spicy flavor of the pork. And you know what else I LOVE about the avocado sauce??? It stays green! Yes, you can use this for up to 5 days and it will stay a bright and beautiful shade of green, thanks to the acid from lime juice that is blended into the avocado flesh AND a good dose of baby spinach leaves for extra color. Once I’ve used it on the tacos, I love to use the leftovers as a sandwich spread, veggie dip, or as a salad dressing! Have you had a chance to try the Citrus Chile-Rubbed Pork Tenderloin yet? If so, let me know how it turned out for you in the comments below or upload a picture to Instagram or Twitter with the tag @sweetcayenne5! 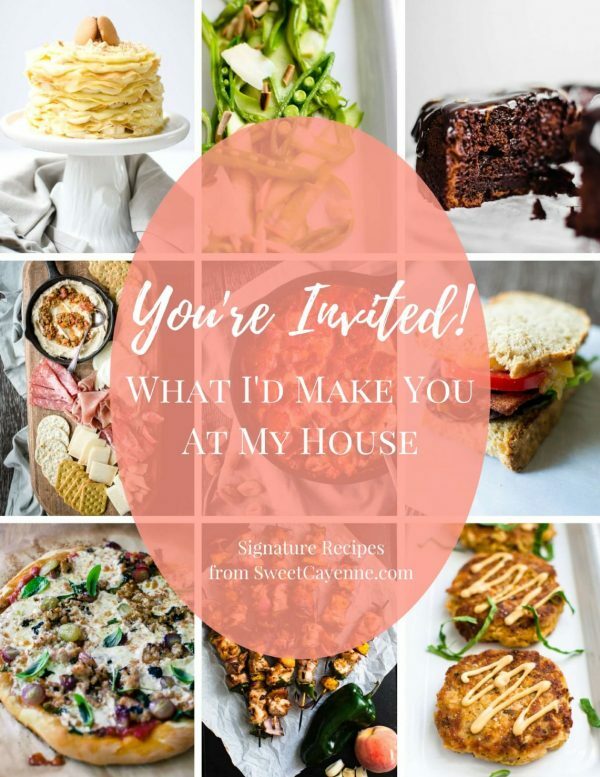 I’d also LOVE to know if you have any favorite make once, eat twice types of recipes that are your favorites. 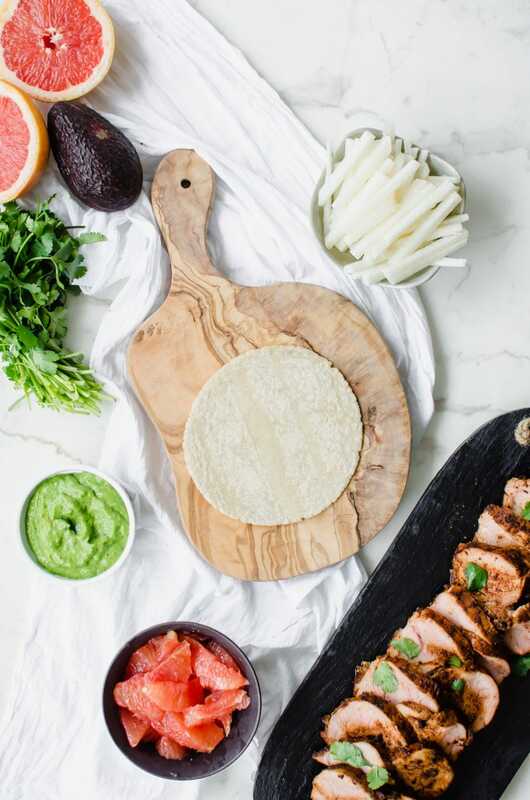 If you enjoy these Pork Tenderloin Tacos with Creamy Avocado Sauce, be sure to check out my Roasted Poblano Smother Sauce or my Olive Oil Grapefruit Cake! 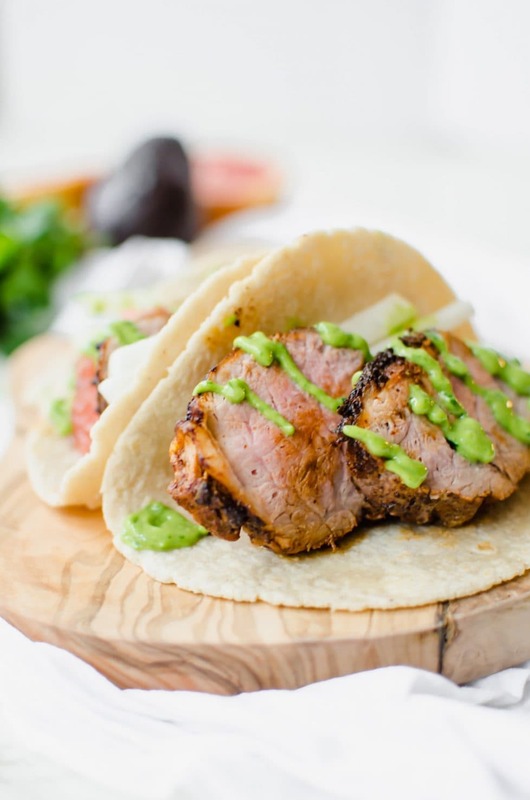 To make these tacos, you will need to make a recipe of Chile Citrus-Rubbed Pork Tenderloin - it is very easy and simple to make! Combine all ingredients in a blender and blend on medium-high until smooth. Adjust seasonings to taste. Transfer to an airtight container and refrigerate until ready to use. The sauce will keep in the fridge (and stays green!) for up to 5 days. Place thin slices of the pork tenderloin in a warm tortilla. Top with grapefruit segments and a few thin slices of jicama (or cabbage). Drizzle with avocado sauce and enjoy! Shop the tools I used to make this recipe!